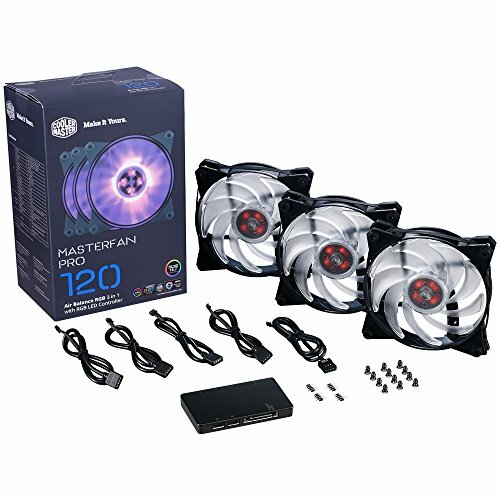 MasterFan Pro 120 Air Balance RGB 3 in 1 combo pack comes with 3 MasterFan Pro 120 AB RGB and a RGB LED Controller. The RGB LED Controller together with Cooler Master software allows you to take full control of your rig's lighting and take it to the next level. Take advantage of countless combinations of colors and lighting effects, from presets to full customization. Evercool 80mm x 25mm Power Supply Replacement Fan Choose from 3 connectors!